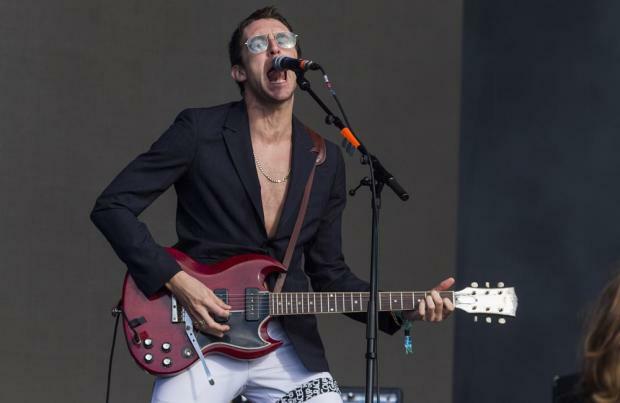 Miles Kane would "never say never" to another Last Shadow Puppets reunion. The 32-year-old rocker – who recently released his third solo album 'Coup De Grace' – formed the side project with Arctic Monkeys frontman and longtime pal Alex Turner in 2008 before releasing their second album 'Everything You've Come To Expect' in 2016. And although fans had to wait a lengthy eight years between releases, Miles has said there could be another revival of the group in the future. He said: "The Last Shadow Puppets was good, I had great fun with that. Bring them back? Who knows, yeah! Never say never." The 'Don't Forget Who You Are' hitmaker was previously a frontman for The Rascals before embarking on his solo endeavours, and after having been friends with Alex for several years, he's often been compared to the superstar rocker. Miles admits the comparisons used to upset him when he was younger, but says he now has the confidence to know he's "amazing" on his own. He said: "I think it's inevitable – I used to feel the comparison when I was younger, but I don't really care now, you know, you think what you think. I know I'm amazing and I know I make good music. I used to think of the comparisons like that, and it's fair enough, I get it, I'd probably think the same, but I don't really care now." Despite feeling the scrutiny in his early days, Miles now even sees the comparisons as a good thing. Speaking to the Metro newspaper, he said: "I don't blame people if they want to compare – it's going to happen, so it's cool. And it's not like it's not a bad thing, is it? His new album is great, it's fantastic."